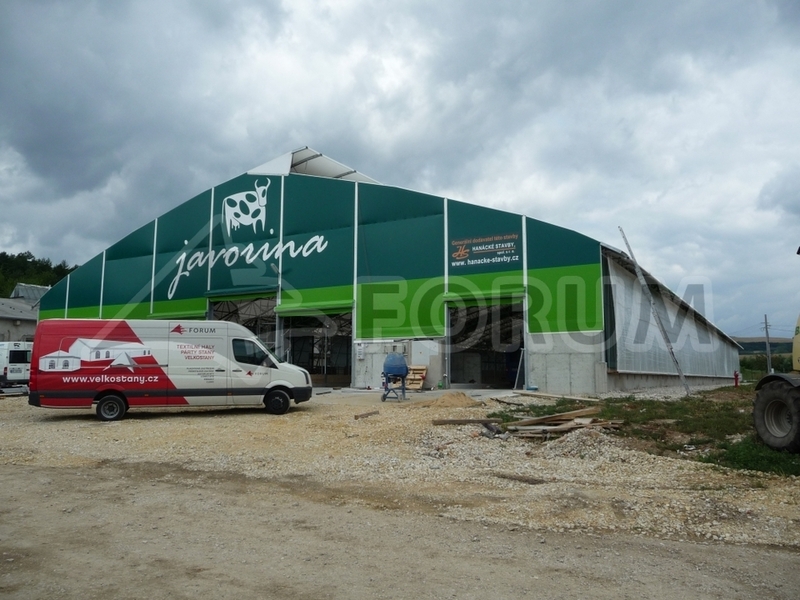 Forum MS pre-engineered buildings with saddle roof of direct or broken shape, modular steel trussing and compact sailcloth canvas are suitable for fast construction of permanent, especially storage premises. These pre-engineered buildings are perfect as system structures for light pre-engineered buildings and steel and storage sheds. In some cases, building foundations are not necessary and only flat and paved surface is required. Construction specification according to client′s requirements and design documents. We tailor-make the building system according to client′s needs. 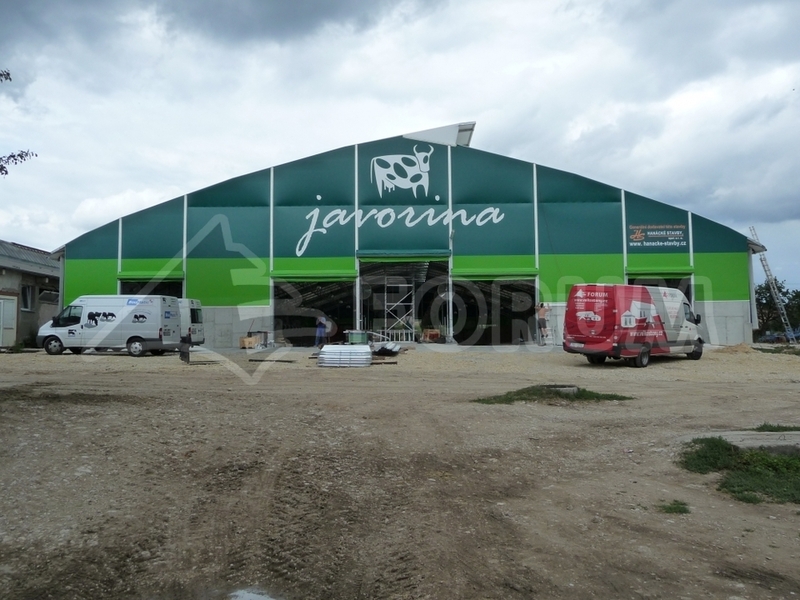 It is especially suitable for roofing of large areas. You can decide on the span, length and roof shape whose dimensions are more-or-less unlimited. 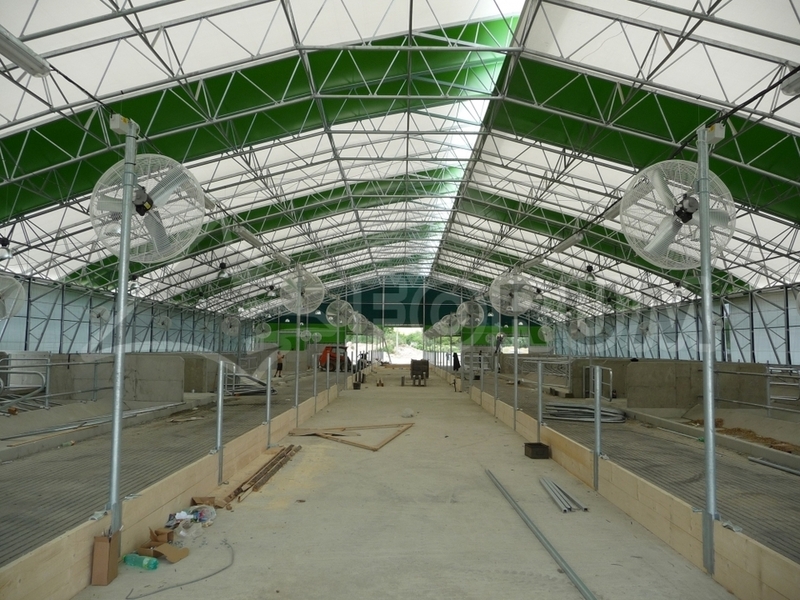 The system allows to construct light pre-engineered buildings or an interconnected set of such buildings precisely according to the dimension specification. The roof and the front and side parts of canvas are stretched over the structure in one piece by means of internal expanders. This way perfect stretching of the canvas in all directions is guaranteed and very good pressure resistance of the whole canvas is secured. 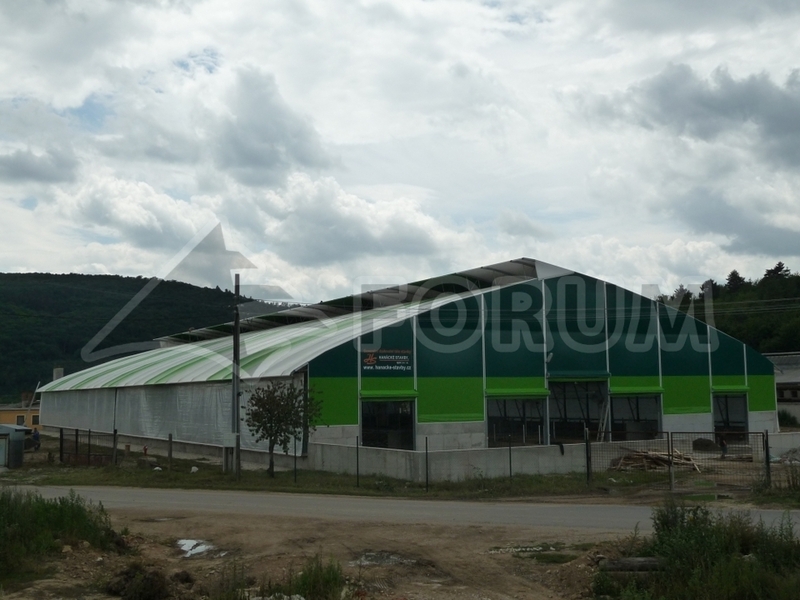 Self-bearing structure of pre-engineered buildings is made of mutually tied steel trusses. Roof part is of saddle shape either in longitudinal or in transverse direction. Ribs of the structure are made in various serial spans with the possibility to extend the tie beams in the whole length and height. Thus the required roofed area can be achieved. No additional supports are needed inside the structure. 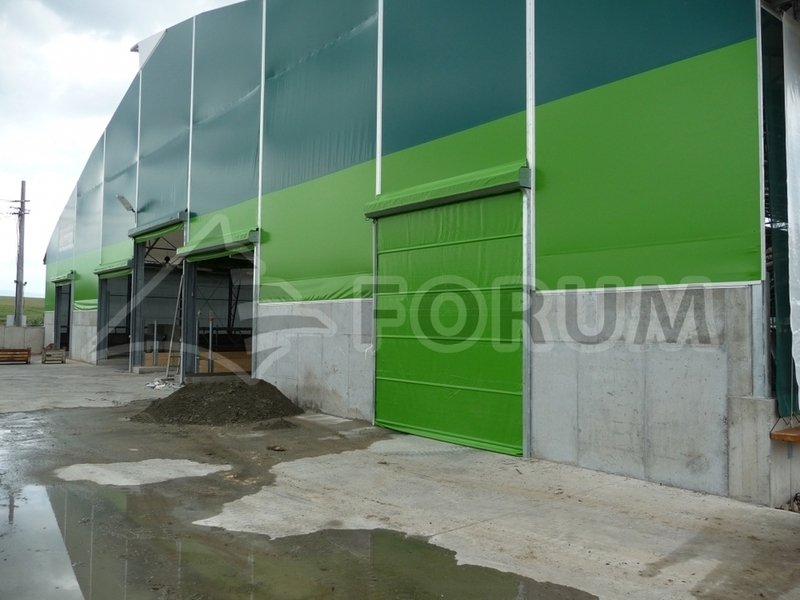 All parts of the structure are provided with surface finish either by paint – RAL 120 mi – or by hot-dip galvanizing. Sailcloth canvas is made of varnished PVC buil-up polyester fabric (heavy duty PVC tarpaulin) characterised by high strength and perfect resistance to climatic conditions and rain. They guarantee good light penetrability and colourfastness. The canvas may be made in a class with decreased flammability. Colour rendition of the canvas can be specified according to current colour sample books. Side parts may be provided with windows made of special frost-resistant foil. Service life of the canvas is approx. 10 years; for top materials up to 25 years. Service life of the structure is at least 40 years. Technical data and colour sample book of the used sailcloths are to be found under Accessory to fabric structures – canvas.